The Chevrolet Dakar team has won the 2018 Rally Raid Colombia in the Chevrolet Colorado pickup truck – the team’s official vehicle since its founding in November 2017. The fourth and final round of the Rally started on November 3rd and ended on November 5th, covering over 450 kilometers (280 miles) of the most hostile terrains of eastern Colombia. 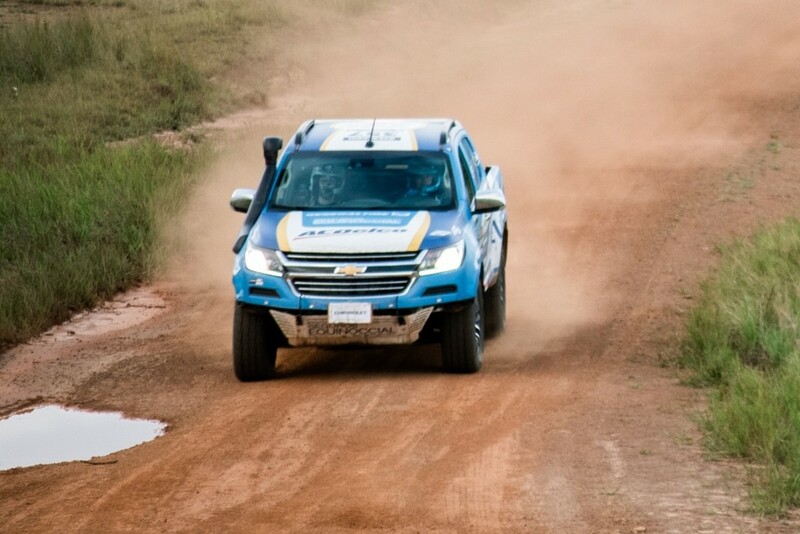 During the three days of the championship round, the Chevrolet team demonstrated the competence of its crew and the durability of its vehicle, taking third place in the fourth round of the series (called Rally Guavire). For the complete Rally Raid Colombia series the team accumulated a total of 76 points out of a possible 80, making them the new champions for the event. Throughout the series, Sebastián Guayasamín piloted the race-ready Colorado truck while Santiago Moreno was the navigator. Rally Raid Colombia is an annual off-road race that takes place in various non-urban natural circuits of Colombia. Together, the rally covers nearly 2,400 kilometers, with the route taking place mostly on unmarked roads through plains and desert areas. The 2018 round of the championship was comprised of four stages in which the participants toured the rugged terrains of several Colombian regions. The first round took place in March, and the Chevrolet Dakar team finished in second place in the event. The second round took place in June. 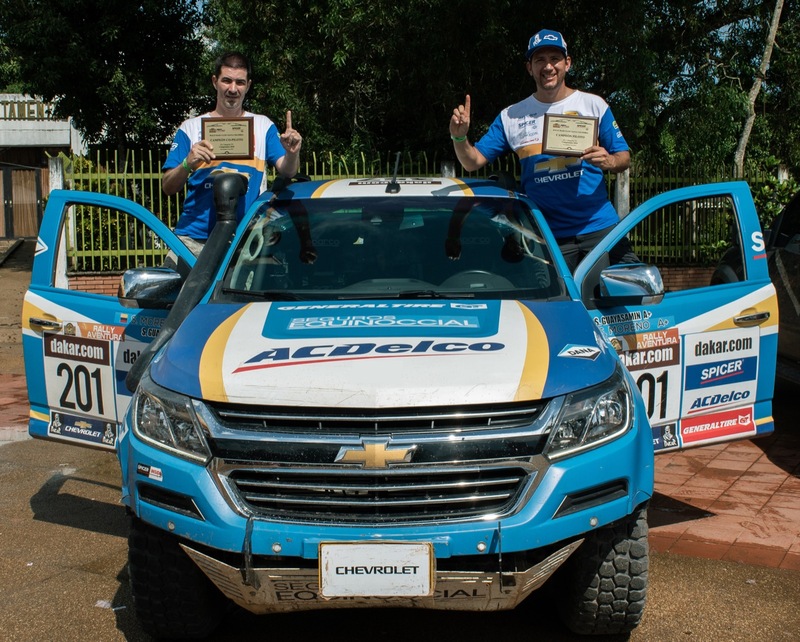 Then, the Chevy Dakar team took first. The third took place in September, where the team also took first place. Properly preparing the Chevrolet Colorado was key to the victory. The Chevrolet Dakar team leader and GM Colombia’s technical team managed to squeeze the most out of the Chevrolet Colorado and its 2.8L Duramax Turbo-Diesel engine. Compared to the version of the Colorado sold to the public, the racing version features a more rugged suspension and improved safety for racing purposes. 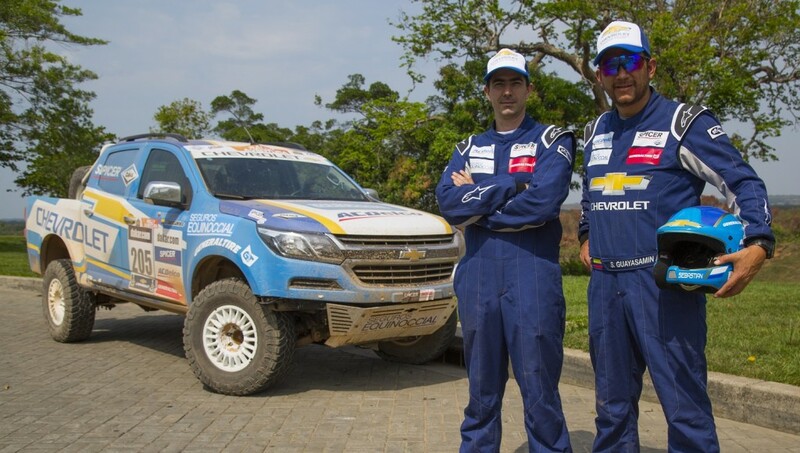 Notably, the Chevy Dakar team won the championship just a year after the Chevrolet Colorado was launched in Colombia (in November 2017). The mid-size pickup truck is imported to Colombia from Brazil, where it is assembled at the GM São José dos Campos plant. Looking ahead, Sebastián Guayasamin and his team are looking forward to the 2019 Dakar Rally that will kick off in January. The Chevrolet Colorado Rally Raid is a pickup adapted by GM South America for off-road competitions. It is based on the international version of the model manufactured in Thailand and Brazil, which is notably different from the Colorado manufactured at the GM Wentzville plant and sold in the United States and Canada. The race model has two versions: one that includes suspension modifications along with various safety-related adaptations used in less demanding competitions organized in Colombia, and another with more aggressive modifications to the body, a tubular structure and a V6 engine making 300 horsepower specially designed for the Dakar Rally. Stay tuned to GM Authority as we bring you the latest Chevrolet news.